In any workplace, there are a number of hazards that an employee might encounter and be injured by. Among these threats are several dangers to the eyes and face. But Prevent Blindness America has found that these injuries are some of the most preventable. 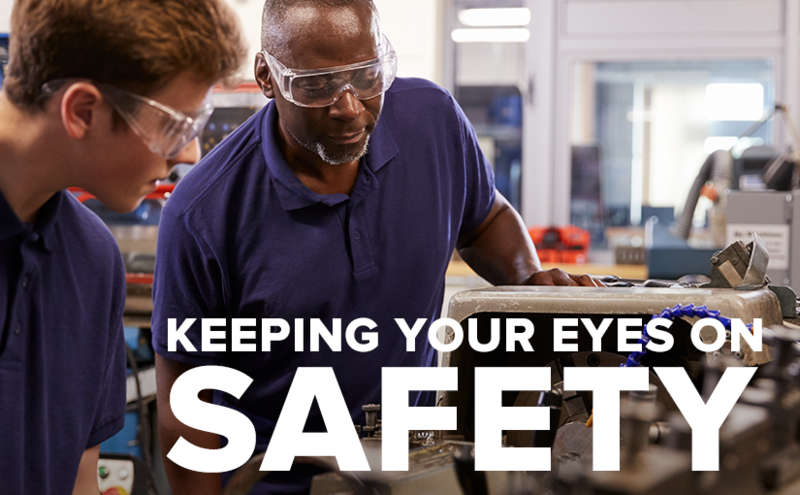 In recent years, they have identified 86,000 work-related accidents that could have ended with a serious eye injury but were prevented by the proper use of eye protection. While many professionals are actively promoting the use of safety eyewear, civic and manual labor professionals often need the added protection of a face shield. 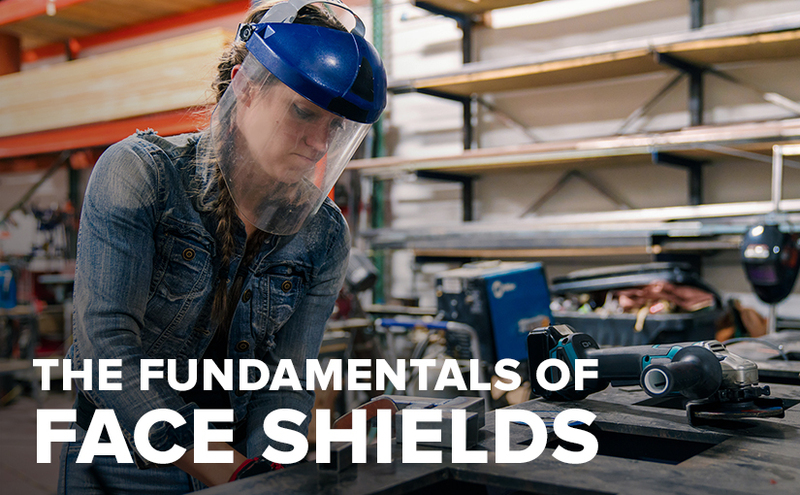 While you should never wear a face shield by itself, knowing when to and what kind of face shield to wear for a task is essential when picking out protection for your employees. OSHA requires all employers to, “ensure that each affected employee uses appropriate eye or face protection when exposed to eye or face hazards from flying particles, molten metal, liquid chemicals, acids or caustic liquids, chemical gases or vapors, or potentially injurious light radiation.” But when exactly is the additional protection of a face shield necessary? Put simply, face shields should be worn when safety eyewear offers insufficient protection for the potential hazards present in a situation. 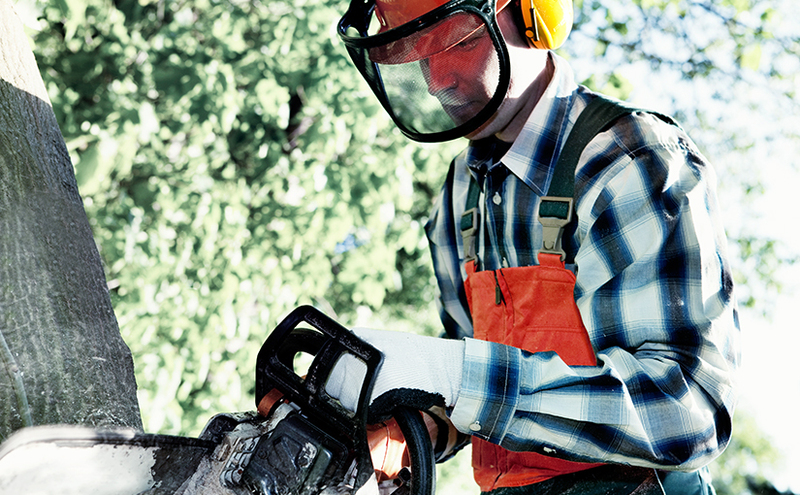 Since face shields do not seal in the face, safety eyewear should always be worn underneath. This ensures that workers are protected from hazards slipping behind the shield and into their eyes. See our blog about the basics of preventing eye injury for more information on safety glasses and goggles. Window Material – There are three main materials used to make face shield windows: polycarbonate, Lexan, and wire mesh. Polycarbonate and Lexan shields are both advanced plastics and protect against impacts, but Lexan is more scratch resistant. Wire mesh windows offer less protection against fine particle and liquid splash hazards, but they never fog up. Headgear – Wearing a face shield shouldn’t interfere with other protective equipment. When you need to be wearing head protection as well as a face shield, you can attach the shield to a hard hat with a bracket. Otherwise, face shields can be attached to their own, specialized headgear for a comfortable, safe fit. Operation Design – Being able to operate safety equipment with minimal interruption to workflow is an important detail to consider. Face shields can operate in two ways: as removable windows or lift-front visors. Removable face shields are designed to be simple to replace while lift-front visors make it quick and easy to raise and lower the face shield during a task. The National Institute for Occupational Safety and Health estimates that about 22 million US employees are exposed to hazardous noise levels at work, making occupational hearing loss one of the most common work-related injuries in the country. With OSHA’s recommended “danger zone” starting at just 85 decibels, chances are that your industrial or construction workplace requires the use of hearing protection. Having the gear doesn’t help if it isn’t the right quality. If crew members are using earplugs that don’t have the right noise reduction rating (NRR), hearing damage could still occur. Even though most hearing protection products come with a NRR on the packaging, you will still need to ensure your earplugs have the correct rating for the environment. If you’re not sure where to start, the CDC published a helpful guide to calculate and use the correct NRR for your work environment. Protecting your hearing is good, but being able to communicate while working with proper protection in place can be challenging. To ensure clear lines of communication, despite the use of hearing protection, you might consider developing hand signals to help your employees get the message across. Another option is designating a place to step away from the noise and remove hearing protection safely. Digital earmuffs with radio capabilities are also a safe bet. These “walkie-talkie” earmuffs allow communication to continue without having to shut down machinery or move away from the work area. OSHA standard 1910.95 requires employers to provide workers with annual hearing tests. While having an audiometric testing program is mandatory, the benefits of tracking employees’ hearing are worth the expense. Together, the baseline test and the annual test results allow employers to see if their hearing conservation efforts are working. If hearing loss is detected, employers can take follow-up measures to prevent further damage. For additional employer responsibilities, see OSHA’s hearing conservation guide. As the old adage goes, knowing is half the battle. Educating employees about hearing protection and when it is necessary is the best way to strengthen your safety culture. Some key points to communicate include when and where to wear hearing protection, which protection to use in different situations, and the lasting damage that results from failing to use the proper protection. Worn-out equipment should be thrown away. Following the manufacturer’s care instructions helps to keep the hearing protection working at their best. You’ll know that it’s time to replace earmuffs when the headband is no longer able to keep the muffs snugly against the head. To get the full benefit of the equipment, conduct regular inspections, checking that the earplugs and muffs are still flexible and safe to use. 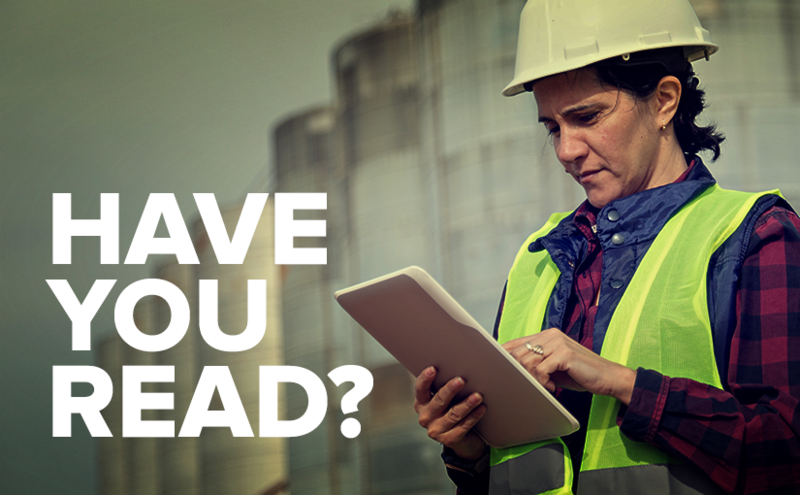 Explore a collection of interesting safety industry resources and insights from the U.S. Standard Products team. With a new president and administration at the helm, manufacturing and industrial industries face potential shifts in OSHA’s worker safety regulations. Safety and Health Magazine takes a deep dive into how the new administration may impact OSHA and the industry overall. We have endless data at our fingertips, and the potential for using it to advance safety processes is massive. Yet big data continues to be underutilized. Industrial Safety & Hygiene News explores how the manufacturing sector can use data to reinvent old processes and drive greater safety gains. “The bottom line is that good health is good business–from the exam room to the board room,” Dr. Ron Loepke says—and that sentiment rings true especially for industrial organizations impacted by significant safety and health risks. EHS Today explores the implications of poor health in the workplace, and how business executives can make a change for the better. According to new research released by the Occupational Safety and Health Administration, fall protection takes the top spot as the most frequently cited workplace safety and health violation in 2016. The data was compiled from nearly 32,000 workplace inspections, and indicates several startling trends when it comes to on-the-job safety. With approximately three million workplace injuries, and more than 4,500 workplace deaths every year, this data is critical in helping organizations across the country hone in on the most predominant safety hazards and identify new ways to make workplaces safer. 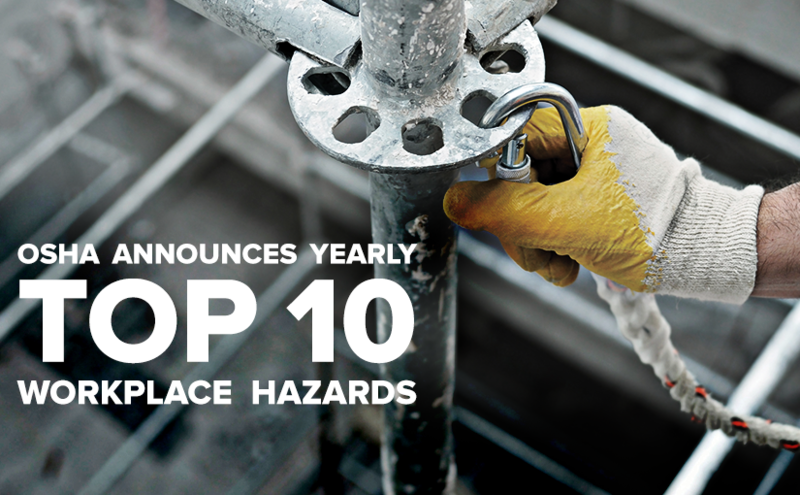 One of the most important things companies should take away from the research is the fact that fall protection, along with scaffold and ladder safety, continues to be a major workplace hazard, as it has taken the top spot on the list year after year. Sure, accidents will happen, but with the proper training, safety equipment and adherence to the rules, organizations can make a difference in the number of fall-related injuries and deaths that occur each year. 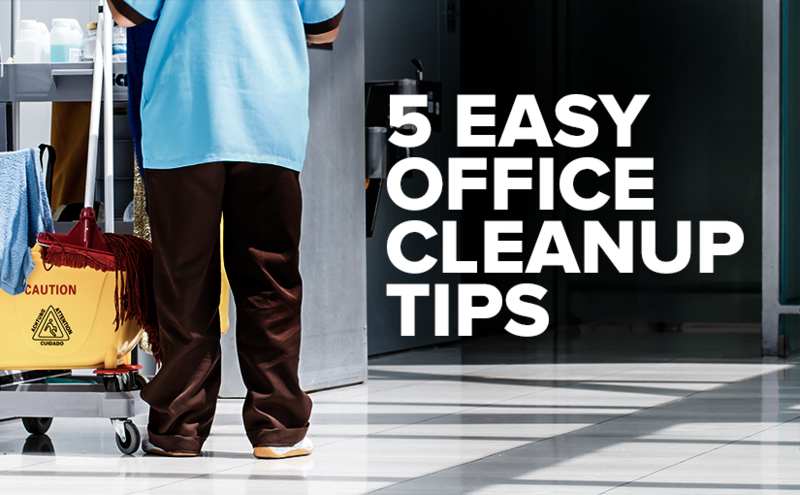 Check out our blog on how to prevent slips, trips and falls in the workplace for more tips on how to minimize the dangers of this common hazard. 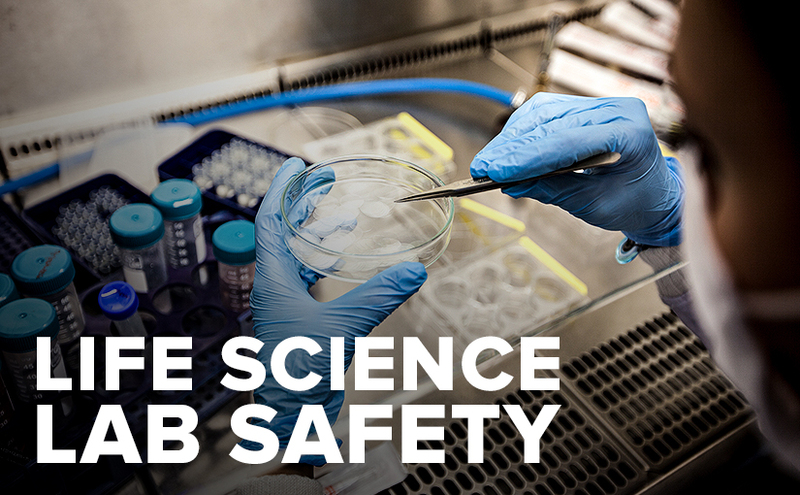 Additionally, industrial and manufacturing companies need to take protective gear more seriously. With all of the technology available, both to make machines safer and to protect appendages from harm, there’s no excuse for lockout/tagout or machine-guarding injuries. 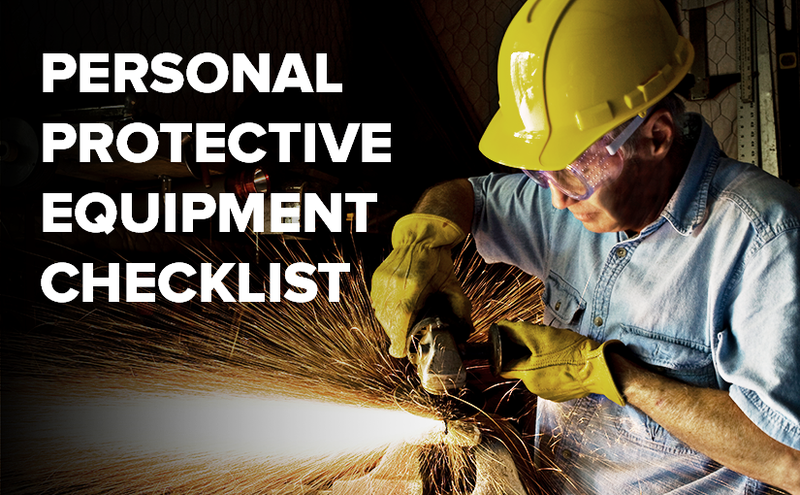 To brush up on some of the most critical personal protective equipment, see our comprehensive PPE checklist. As companies head into the new year, those in charge of safety programs should keep this list of hazards on hand. By keeping the most common dangers top-of-mind, they can adequately prepare their staff with the proper safety training and stock up on the necessary protective equipment. Together, let’s make 2017 a safer year in the workplace! To reduce workplace accidents and shield workers from potential hazards, it’s important to have a thorough plan for equipping workers with personal protective equipment (PPE). Without protective equipment plan, employees are at risk of injury and employers could be subject to fines or penalties. OSHA stipulates that employers must pay for personal protective equipment for employees with the exception of prescription safety glasses, safety-toe protective footwear and other equipment or clothing that is personal or worn outside of the job. To help determine which protective gear is necessary for the job, we’ve prepared a checklist of commonly required personal protective equipment below. When thinking about eye protection, it’s important to consider any occupational risk to the eyes or face. Common hazards include dust, liquid or chemical splashes, abrasive particles, sparks or molten metals, and it’s also important to consider comfort and the visibility requirements of the job. In any situation that involves the hazards above, workers should, at a minimum, have a trustworthy pair of safety glasses, while some jobs may require full face shields or welding helmets. In many instances, certain types and colors of safety glasses can help improve visibility and job performance, so it’s important to consider that as well. In addition to the eyes, head and face protection is one of the most important areas to consider to prevent significant injuries at the workplace. Generally, a safety helmet is essential in environments where a worker could be struck on the head by a falling or fixed object, if a worker could potentially fall or if they could come into contact with an electrical hazard. Each year, roughly 30 million workers in the U.S. are exposed to hazardous noise levels in the workplace. It’s estimated that about 125,000 workers suffer significant or permanent hearing loss each year while on the job. 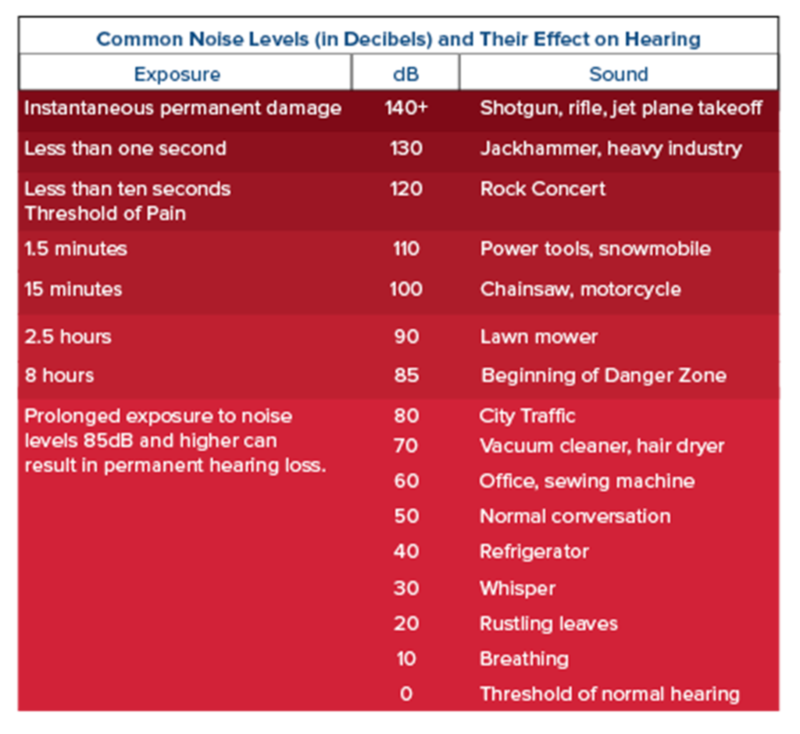 With these statistics in mind, employers are required to provide hearing protection to workers who are exposed to volume levels at or above 85 decibels for at least eight hours per day. However, even if workplace noises don’t reach 85 decibels, it’s still highly advised to provide hearing protection for workers. Recommended hearing protection can vary by industry, though we previously outlined some of the best options for hearing protection in various work environments. 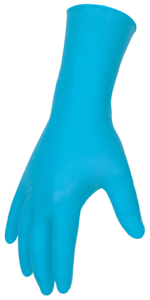 In many professions, hand protection is absolutely essential when working with dangerous machinery or equipment or handling harmful substances or materials. However, there really is no one-size-fits-all glove for protecting the hands, so it’s important to identify the material and type of glove that works best for your industry. Finding proper foot protection is essential, though between the protection offered, the thickness of the material, and the type of sole, it’s important to make the right choice based on your industry and work environment. All workers in a laboratory, factory, workshop, construction or outdoor work environments should have enclosed footwear. In workplaces with chemicals or harmful substances, all footwear should be resistant to hazardous substances. In workshops, construction sites or factory settings, boots with steel caps or increased protection are recommended. Employers aren’t typically required to provide most methods of skin protection (long-sleeve shirts, pants, sunscreen, etc. ), though it is still a very important area to consider. Especially in outdoor environments, workplaces with exposure to flames or electricity or environments with hazardous substances and chemicals, employees should have adequate skin protection to ensure they aren’t exposed to potential harm. To protect your employees from common workplace injuries and accidents, consider all of the areas of protection above and verify that the equipment you are providing is adequate. If you’re in need of safety equipment to protect your team, check out the U.S. Standard Products catalog. 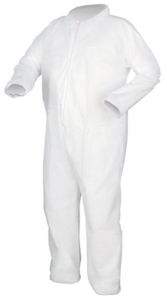 We offer a wide range of cost-effective, protective safety gear to help minimize workplace accidents and injuries. Did you know that 30 million U.S. workers are exposed to hazardous noise levels in the workplace? According to the Bureau of Labor Statistics, it’s estimated that nearly 125,000 of these workers have suffered significant, permanent hearing loss due to workplace exposure in the last 12 years. Exposure to high decibel levels for extended periods of time can cause permanent damage to the ear, which in some cases can’t be corrected with surgery or hearing aids. Other symptoms of high noise exposure include a “stuffed-up” feeling in the ears and a constant ringing, called tinnitus. 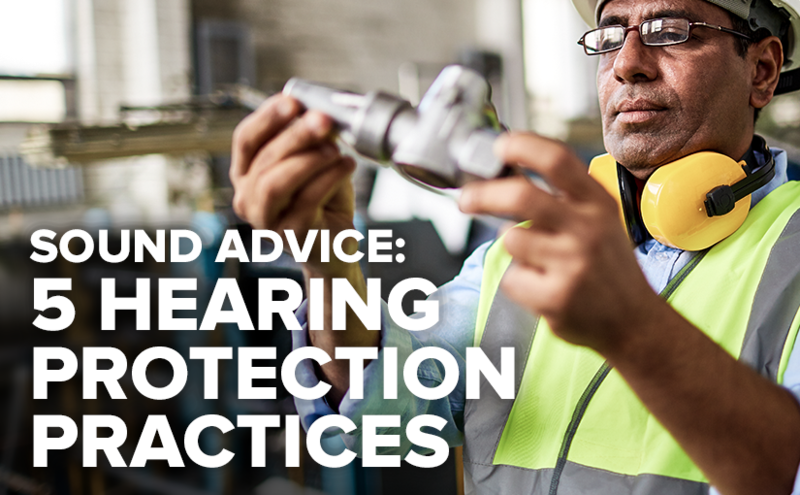 To combat this ear damage, OSHA outlines strict requirements for hearing protection in the workplace. In fact, employers are legally required to provide hearing protection to all workers who are exposed to time-weighted average (TWA) sound levels at or above 85 dB for eight continuous hours per day. However, for workers who aren’t continually exposed to high decibel levels, it’s still crucial to wear protection whenever they’re exposed to noises above 85 dB. Here, we’re taking a look at some of the noisiest industries to work in and providing suggestions on the best hearing protection solutions for each work environment. Workers in the landscaping industry deal with a lot of noisy tools including lawn mowers, leaf blowers, tractors and more—all of which operate in the 90-100 dB range. Since many landscapers aren’t necessarily supervised on-the-job, or are actually the business owners themselves, it can be easy for them to “get away” with not wearing ear protection. This mindset can be very harmful. Even though the decibel level typically encountered in the landscaping industry is on the lower scale of the danger zone, continued unprotected exposure can lead to chronic hearing problems later in life. Recommended hearing protection: Landscapers should wear hearing protection that’s most comfortable for them, whether that’s roll down foam earplugs, custom molded devices or a range of other options. As tempting as it may be to stick a pair of ear buds in and listen to music, that will only increase the decibel level and risk of permanent hearing damage. Common noise culprits in the construction industry include bulldozers, chainsaws and jackhammers, which operate at 100-110 decibels. It’s critical for construction workers to wear ear protection on top of their regular safety gear when operating loud, heavy machinery. Recommended hearing protection: Since communication is a key safety component of construction work, we recommend that workers wear noise-cancelling electronic earmuffs—a type of high-tech hearing protection that screens out only noises over 85 dB. Electronic earmuffs allow workers to easily hear lower-decibel sounds, like voices, while blocking out damaging higher noises. For jobs that are less reliant on loud machinery, simple foam earplugs on a cord may be more appropriate. A siren from an ambulance, police car or fire truck can reach up to 120 decibels, but it’s not practical, or necessarily safe, for emergency responders to wear ear protection while they’re driving to an urgent situation. Fortunately, most emergency vehicles are soundproofed, with the siren projected away from the vehicle to minimize the interior decibel level. It’s police officers and military personnel, when practicing shooting at the range, who really should be concerned about noise levels, as a gunshot ranges from 150 to 165 decibels. Recommended hearing protection: Often, on a shooting range, gunshots happen frequently and unexpectedly. Noise-cancelling electronic earmuffs allow men and women who are practicing to comfortably communicate with others, while ensuring non-stop, reliable protection from the constant high decibel shots. Ready to equip yourself or your employees with high quality workplace hearing protection? Contact U.S. Standard Products for more information about our available hearing protection products today. Give us a call at (844) 877-1700 or send us an email at info@usstandardproducts.com. For most people, green means “go” and red means “stop”, but for workers in industrial fields, these colors (among others) have unique meanings that relate to safety. These “hazard” colors were not chosen to ‘lighten up’ the workplace; rather, their selection is based upon human psychology and how they work with the lighting within a building. While the Occupational Safety and Health Administration (OSHA) does not have any set standards on color-coding, the organization does offer recommendations. 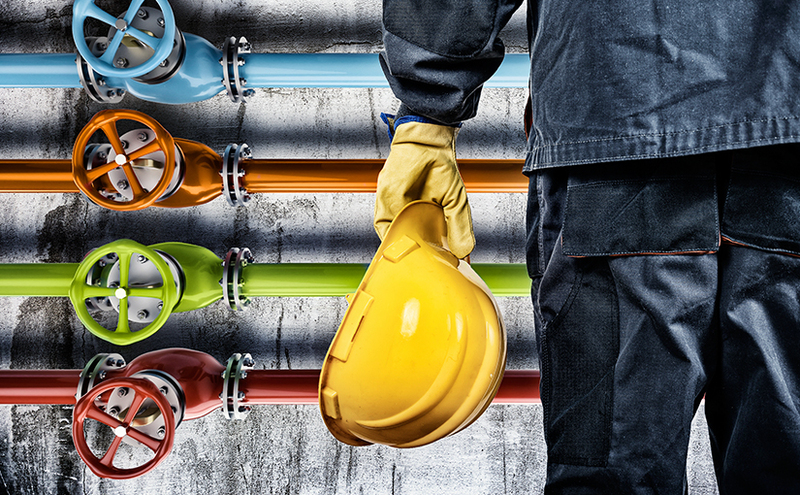 In this blog, we’ll explore what each color in the workplace means and why it was chosen to represent specific safety hazards. Yellow, red and orange are bold colors that are used to stimulate mental excitement; to motivate people, not relax them. These bright colors aren’t easily skimmed over and studies have shown that the color red can physically raise blood pressure. The spiked blood pressure causes the body release cortisol, which makes a person more alert for a short period of time. This phenomenon makes red and other warm, bold colors a great choice for identifying hazards though accident prevention tags. RED: Standard 1910.145(f) App A of the OSHA Standards states that a “danger” hazard should be red or predominantly red, and that any lettering or symbols should be in a contrasting color. Red is generally used in industrial workplaces to identify danger, fire protection equipment and emergency stops on machines. YELLOW: “Caution” hazards should be displayed in yellow, with lettering or symbols in a contrasting color. Applications for this color typically include hazards that could result in accidents from slipping, falling, or striking against something. Yellow is also the standard hazard color for flammable liquid storage cabinets and materials handling equipment, like lift trucks or gantry cranes. Radiation hazard areas or containers are often marked with black and yellow stripes or checkerboard pattern. ORANGE: The color orange is used to identify “warning” hazards, such as dangerous parts of machines, exposed edges of cutting devices, etc. “Biological” hazards include anything that could pose a threat to human health, and should be labeled with fluorescent orange or orange-red. BLUE: Blue is used to post non-safety related signs or bulletins. A blue flag can also be used to mark parked cars that are unloading. GREEN: Green is used to designate the location of first aid and any other safety equipment besides fire safety. BLACK + WHITE: The combination of black and white, either in stripes or a checkerboard pattern, is used for housekeeping and traffic markings. These stripes are typically seen in walkways to remind workers not to place objects in walkways, preventing tripping accidents. Color codes can vary depending on the industry—be sure to consult your workplace safety materials for any variations in hazard color standards. For more workplace safety tips, follow U.S. Standard Products on social media!